Hosts Alex Moxin and Drew Ogryzek open the show talking about Moxin’s progress learning to code which she talks about further in her blog. They discuss meetups they attended the past week and then highlight a few upcoming meetups around town in the Vancouver tech scene. Our guest this week is Annee Ngo of ProtoHack and PressReader. ProtoHack activates and supports the startup community by hosting global events that help people with amazing ideas get mentorship, training, and business requirement validation so they can turn their idea into a real-world business. ProtoHack also hosts white label events, and the next upcoming event will be on April 29th. Stay tuned for Ngo’s upcoming media hackathon to disrupt mainstream media! If you’re interested in getting involved you can reach Annee by email or on twitter: @protohackvan or @anneengo. 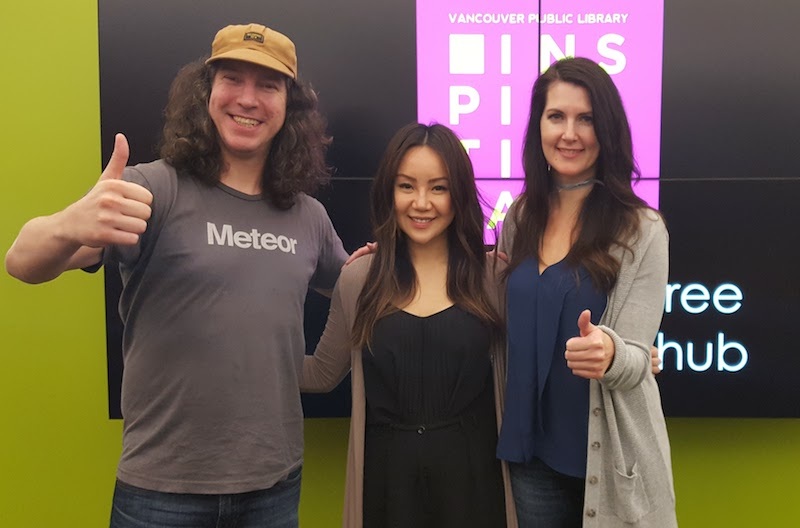 Alexandra works for Adaptech Solutions as Business Development Manager and cohosts the Vancouver Tech Podcast with Drew Ogryzek. Part time model and management consultant Alex's background in tech began as a producer/digital project manager. She has over 10 years experience on small to medium scale digital, app, design, creative and infrastructure projects and has led and mentored technical, design and quality assurance teams. Areas of expertise are stakeholder engagement, agile, waterfall and crossover methodologies, planning, research and communication. Alex is learning to code and enjoys community development through going to meetups. Her core values are integrity, commitment to excellence and doing things right the first time. Thanks for this episode! I’m speaking at a Protohack event tomorrow, and your interview with Annee Ngo really helped me better understand it. ??? ?